When you take out an insurance policy on something chances are you get a bit complacent with it. The attitude that “Don’t worry, it’s insured” have found many people on a sticky wicket when inevitably something does go wrong and they find they can’t make a claim. Insurance claims for mobile phones are no different and unfortunately for careless or downright stupid phone owners there are a number of things that you won’t be covered for. Read on to find out which situations will find you out of pocket if you have to make a claim. If you think you’re guilty of anything below then it’s probably a good idea to get saving because you’ll be the one footing the bill! Nearly everyone owns a mobile phone these days, and it seems that a more than a few of these people like their phones a little too much. Mobile phone companies don’t mean to rain on your parade but if you’re going to get ‘adventurous’ in the bedroom, leave you mobile out of it. You can be sure that your insurance will not pay out if you’ve been using your phone as an ‘adult toy’. There are probably a few lads among you that like to do tricks to impress the ladies, but attempting to juggle your phone, a box of Cheerios, and a bacon sandwich isn’t going to impress your lady love the morning after the night before. It will impress her even less if you drop your phone and find you can’t take her out because you’re out of pocket after paying for a new one. Tricks are great, but juggle something less fragile than your phone. Throwing your phone at your dead beat boyfriend during an argument might relieve some tension, but your blood pressure will shoot back up when you realise you’ll have to buy a new phone. Your phone may double as a handy weapon, but your phone insurance company won’t pay for the damage. Curiosity Killed the Cat, and your Phone! Most of us have wondered what would happen if we dropped our phone down the toilet, or just how easy it is to break an iPhone. However, your insurance company won’t be interested in your ‘research’ nor will they pay for your not so sturdy handset. We all learnt at school that you should treat others as you’d like to be treated, but for some reason we tend to forget this when it comes to our possessions, especially mobile phones. If you’d like to be juggled, used a beer mat, thrown at a wall, or hit with a hammer just to see if you’ll break then go ahead and do the same thing to your phone. 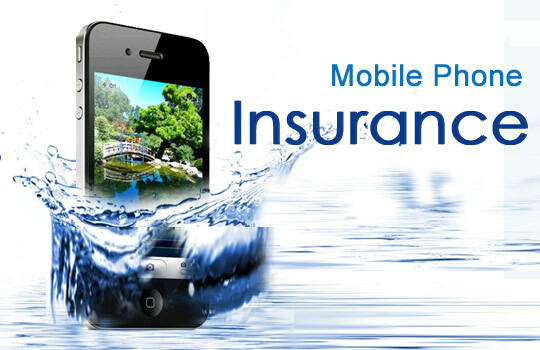 Be prepared to put your hand in your pocket though because your mobile insurance won’t cover you. Be kind to your phone, it’s done nothing wrong and it will cost you to repair or replace it. Rob Rudd has a daughter approaching her teenage years and so understands the pain of a cracked smart phone screen. He enjoys writing and contributes to several lifestyle blogs.